St. Patrick’s Day holds great significance in the delightful story of Ireland’s spirited surge to the top of the Associate ladder. 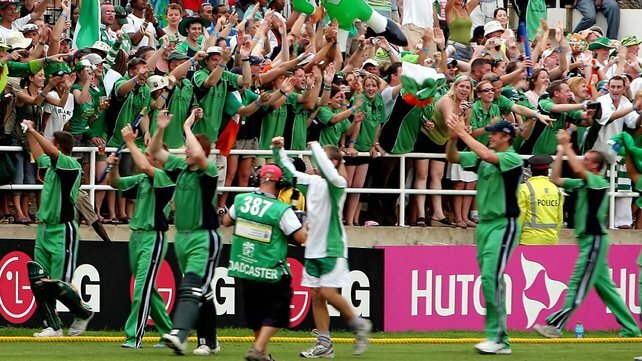 Back in 2007, the Irish team, a bunch of amateurs led by Trent Johnston, arrived at Sabina Park at Kingston, Jamaica to contest in the World Cup for the first time. In their very first game, they held Zimbabwe to a thrilling tie to make an immediate impact. Two days later – on St. Patrick’s Day – they took on Pakistan at the same venue on a green-top, knowing that in case they won, a place in the Super Eights beckoned. In a performance which completely changed the cricket scene in Ireland, Johnston’s underdogs shocked the 1992 champions by three wickets, sending the passionate Irish crowd in the stands into delirium. It was a Paddy’s day to remember for all those lucky enough to watch it live, and a sea of green witnessed the Irishmen take an ecstatic lap of honour. With this win, Ireland defied all odds to qualify for the next stage. This day sowed the seeds of a cricketing renaissance in the country, and today the fruits are there for everyone to see. Seven years on, Ireland are slated to play yet another crucial international game on St. Patrick’s Day – against Zimbabwe in the opening game of the qualifying round of the 2014 ICC World Twenty20 at Sylhet in Bangladesh. Ireland have been placed in Group B along with Zimbabwe, the UAE and the Netherlands, and only one team from this group will proceed into the tournament proper, also known as the ‘Super 10’ stage. The clash against Zimbabwe assumes the most importance for Ireland, since the African nation is the only full-member and the biggest threat in the group. This is not to say that the UAE and the Netherlands can be rolled over easily – in this fickle format nothing can really be predicted. But in all probability, the Ireland v Zimbabwe game will be the do-or-die encounter for both sides, with the winner most likely to clinch a berth in the tournament proper. A lot has changed since St. Patrick’s Day 2007. The side is now fully professional, and the fans have high expectations from them. Losing to Zimbabwe will be seen as an out-and-out disappointment, while a victory will be seen as merely routine. After all, Ireland are marching towards the holy grail of Test status and hence have to set higher ambitions for themselves. To further strengthen their case, regular victories against full members is the only way ahead. 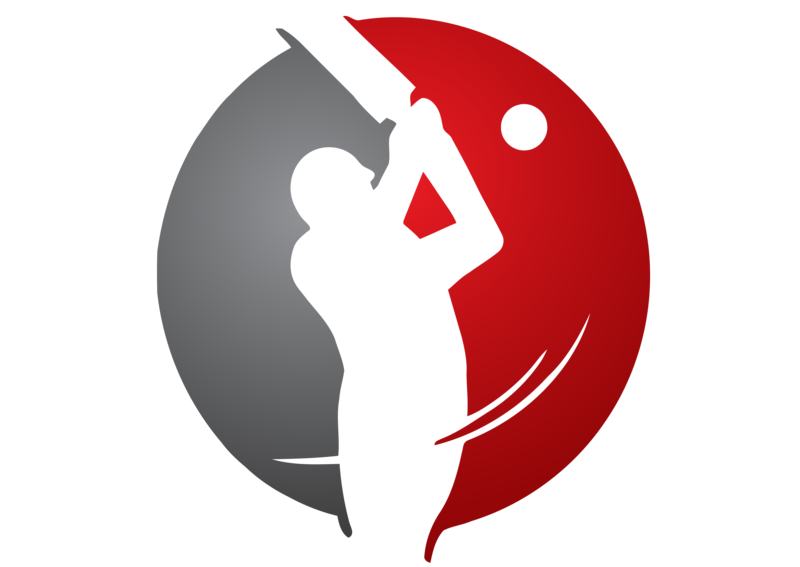 A case in point was the recent two-match T20 series against the West Indies in Jamaica. Ireland won the first game but there was hardly any animated jubilation, just pats and handshakes. They lost the second game and it was seen as an opportunity to secure an overseas series win squandered rather than a satisfactory drawn result. Assuming they win, Ireland will face Sri Lanka, South Africa, New Zealand and England in the main round. Given the sheer lack of fixtures against top teams, this should serve as enough motivation for the Irishmen to put it across Zimbabwe and provide their fans another memorable St. Patrick’s Day. Ireland’s form in the warm-up games has been pretty patchy. They lost to Worcestershire and Hong Kong before defeating Nepal by 5 wickets. But in their last warm-up against hosts Bangladesh, they were soundly beaten by 44 runs. The form of the batsmen has been a cause for concern ever since the Caribbean tour began in late January. The bowlers have performed much better of late and to avoid an early elimination from the tournament, they will need the batsmen to start firing and back them up with concrete performances. The opening partnership of captain William Porterfield and the swashbuckling Paul Stirling have not shown the spark that was so prominent during the victorious World T20 Qualifiers campaign in the UAE in November last year, and at least one of them has to deliver a confident start at the top. Ed Joyce remains the lynch-pin of the batting, but he needs further support from the likes of Gary Wilson, Kevin O’Brien and Niall O’Brien. Andrew Poynter looks to be a nice prospect, and whether he gets into the eleven remains to be seen. Spin will most likely play a massive role on the dry Bangladeshi tracks, and the promise shown by young off-spinner Andy McBrine augurs well for the Irishmen. The team management would do well to include him in place of one of the pace bowlers in the starting eleven, and his partnership with George Dockrell and Paul Stirling will be the key to Ireland’s chances of restricting the opposition to a chaseable total. Another bright talent is Stuart Thompson, who provides a real all-round option to the team. Zimbabwe are a team that can never be taken lightly. Even though they are constantly mired in wage issues and off-field politics, they can be a real handful on their day. They bounced back from a defeat to Hong Kong to beat Afghanistan in the warm-ups. Even if the Zimbabwe hurdle is crossed, the UAE and the Netherlands pose challenges of their own. While the UAE will find the conditions to their liking, the Netherlands still have it in them to upset the apple-cart in the T20 format, their recent poor form notwithstanding. As Porterfield mentioned, Ireland will have to take one game at a time. There would be no point in thinking of the second round at this moment. Three must-win games in five days in a highly unpredictable format will no doubt be an exciting challenge for the Irishmen, and success will go a long way in generating further interest in the fastest-growing sport in the country. A victory or two against a full member will also hold them in good stead ahead of the bigger occasion, namely the 2015 ICC World Cup. In the previous two editions of the world T20, Ireland had been robbed of the chance to get into the next round by rain in their matches against England in 2010 and West Indies in 2012. Incidentally, both these teams went on to become champions in the respective years. Luck of the Irish, one may say. Here’s hoping that the luck does not elude the boys in green tomorrow and that they go far ahead in the tournament. Wishing everyone a happy St. Patrick’s Day.